We are delighted to bring you a chess simultaneous exhibition. We welcome all residents of JCSVIII to participate, no prior chess experience is required. 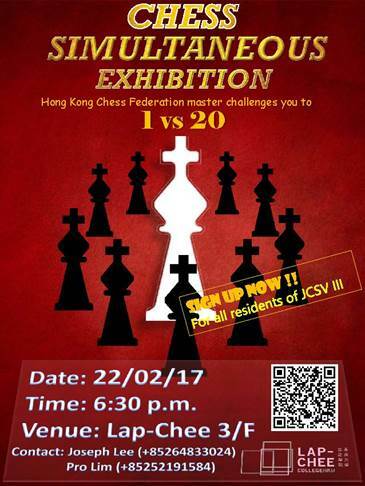 Get your chance to go head to head with one of the best chess master from Hong Kong Chess Federation.